I have a love/hate relationship with meatloaf. On the one hand, I really like a well made meatloaf. On the other, I seem to only be able to actually make a decent meatloaf about 50% of the time. 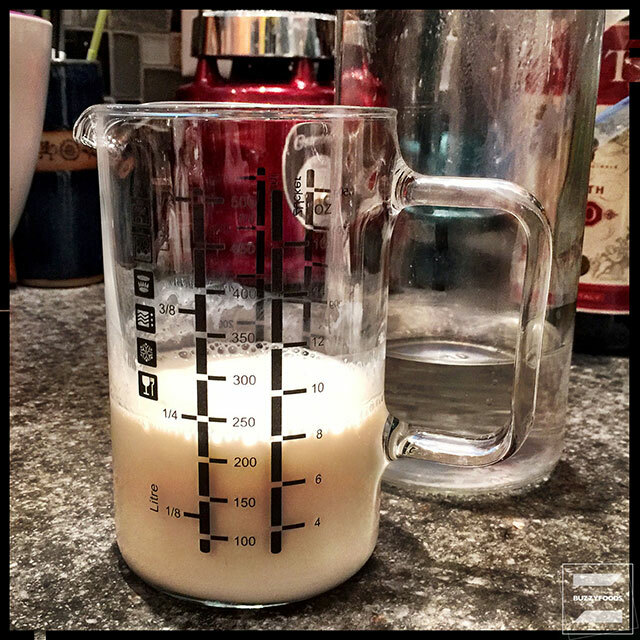 First things first: no buttermilk? No problem! Add one tablespoon of white vinegar or fresh lemon juice to a measuring cup, then add milk to make one full cup. Stir to mix, then set aside to rest for ten minutes or so. Voilà! Buttermilk. Since this recipe only calls for 1/2 cup, reduce the vinegar or lemon juice to 1-1/2 teaspoon and add milk to measure 1/2 cup. 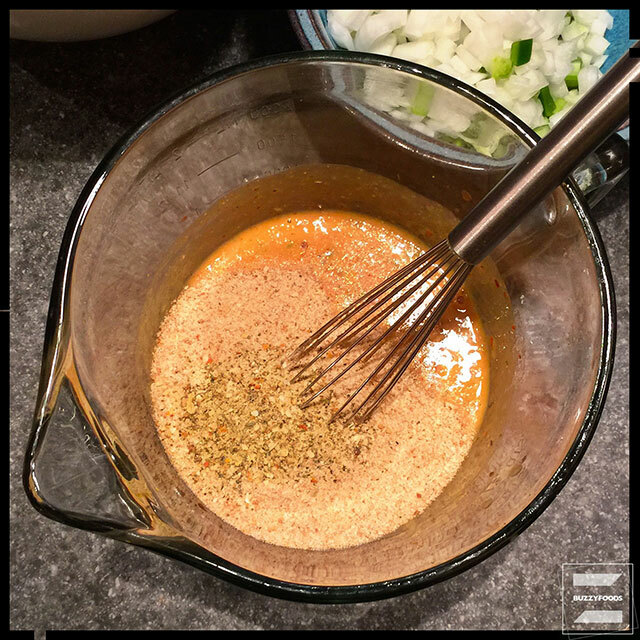 Whisk the buttermilk together with the egg and other seasonings until blended. Second. Stir the bread crumbs into the egg and buttermilk mixture until thoroughly mixed. Set aside to rest for 15 minutes. This resting time will allow the breadcrumbs to absorb the moisture and flavorings, giving us a better binder to hold the finished meatloaf together. Third. Consider the “meat” in your meatloaf. I went with half 80% lean ground beef and half ground pork. 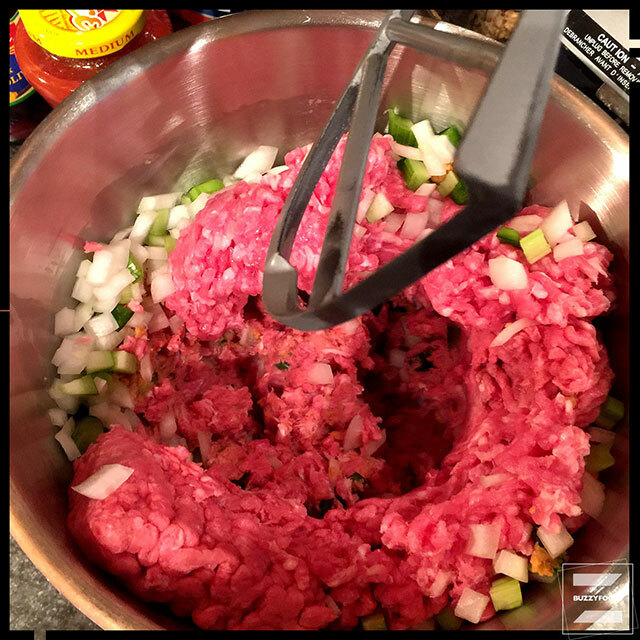 You could go leaner on the ground beef, but, as Julia Child used to say: “fat gives things flavor” and besides, the way we’re gonna cook this meatloaf means most of it will cook out of it anyway. 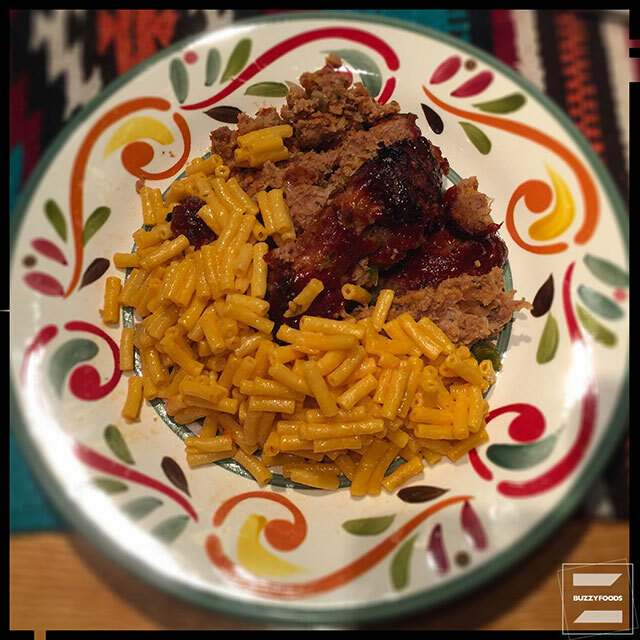 You could also use ground turkey or chicken in place of the pork. Fourth. 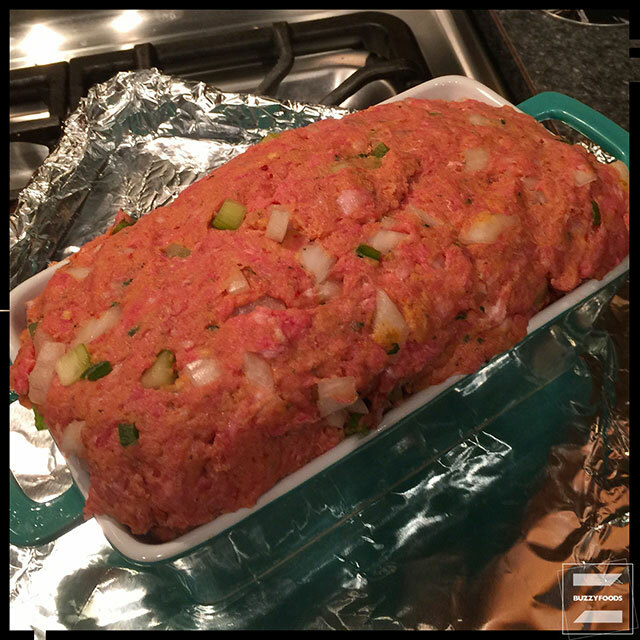 Meat(s) selected, veggies prepped, and bread crumbs soaked and turned into a paste, let us assemble our meatloaf. I usually do this by hand; it is messy, and I always seem to somehow miss a bit, ending up with a glob of bread crumbs or plain meat in the loaf. 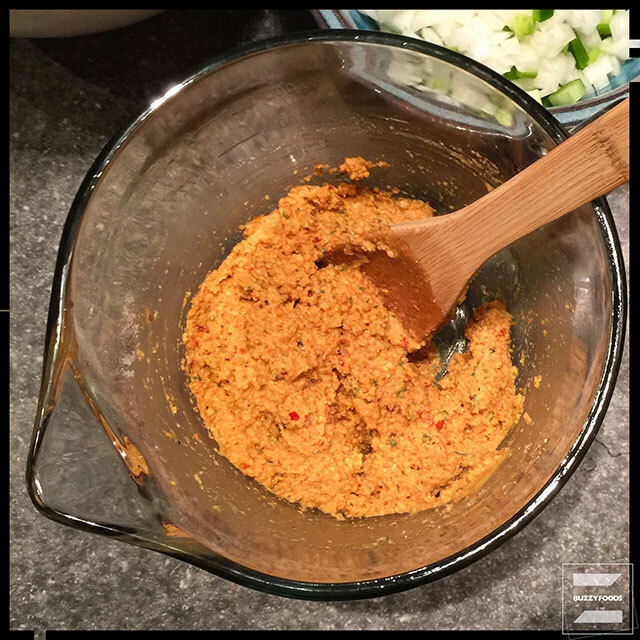 I have tried using the food processor, but that gives too fine a texture, in my opinion. Then, I recalled a cooking show on the teevee, visiting a restaurant kitchen known for their meatloaf. The chef used his (giant) stand mixer to pull his (also giant) meatloaf together. I fitted my (not giant, but big enough) stand mixer with the paddle blade, loaded the meats, veggies, and bread crumb mixture into the bowl and mixed on low until everything was (very) nicely combined. Still kindofa mess, and you do have the mixer to clean, but there’d have been a mixing bowl anyway, and the dishwasher can easily deal with the paddle blade. 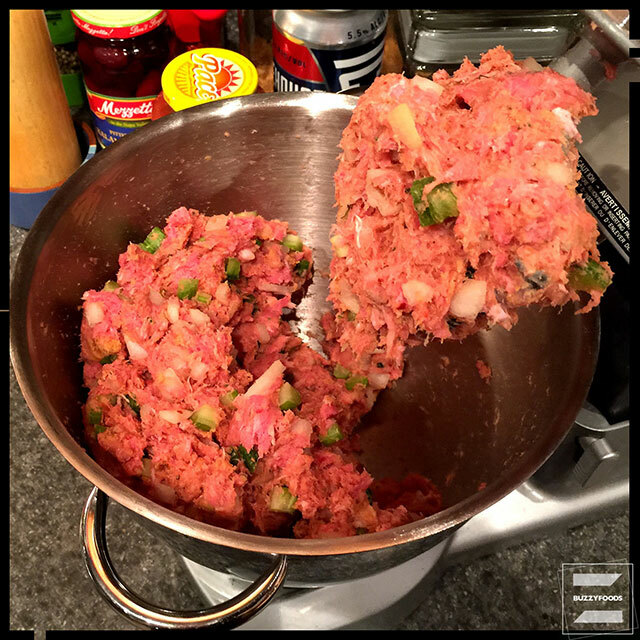 Rinse a loaf pan well with hot water, then immediately pack the meatloaf mixture into the pan. Turn the pan over onto the foil lined baking pan and pull the loaf pan up. Your meatloaf should unmold pretty darned easily, and you have a nice, loaf-y kind of shape. Sixth. 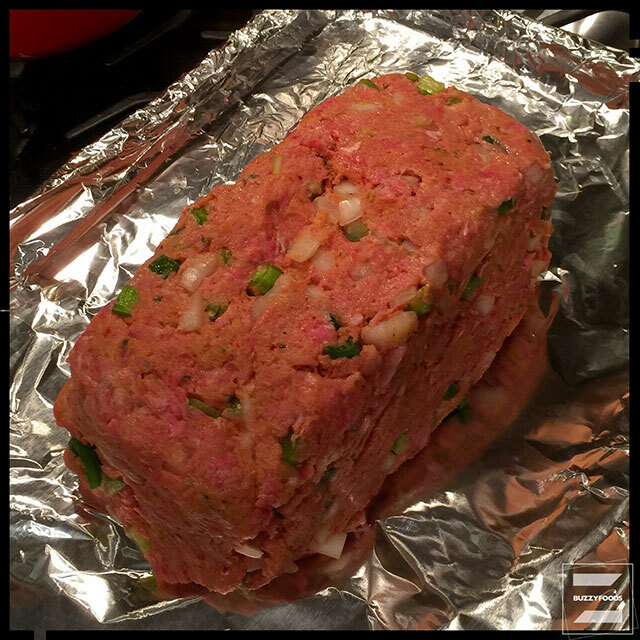 Slide your meatloaf into a preheated 350º oven and bake for one hour. 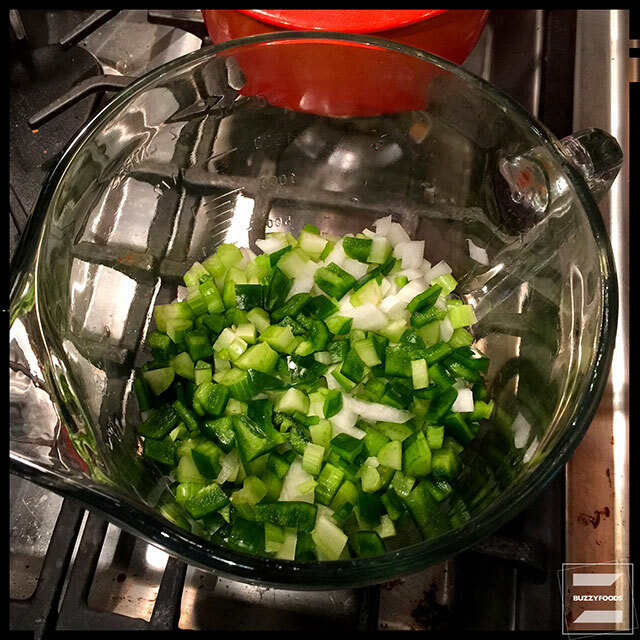 Seventh, make the glaze by whisking the ingredients together in a small bowl. Feel free to use barbecue sauce in place of the ketchup, and adjust any other ingredients to suit your own tastes and preferences. 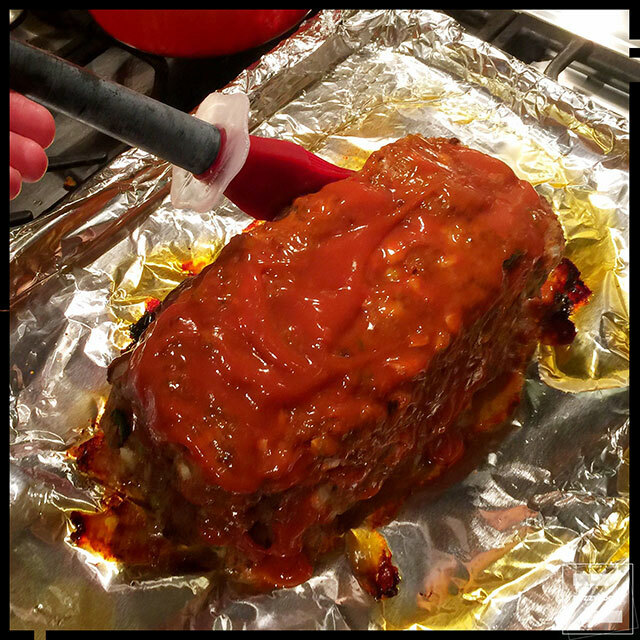 After the meatloaf has baked for one hour, remove from the oven and brush with half the glaze. 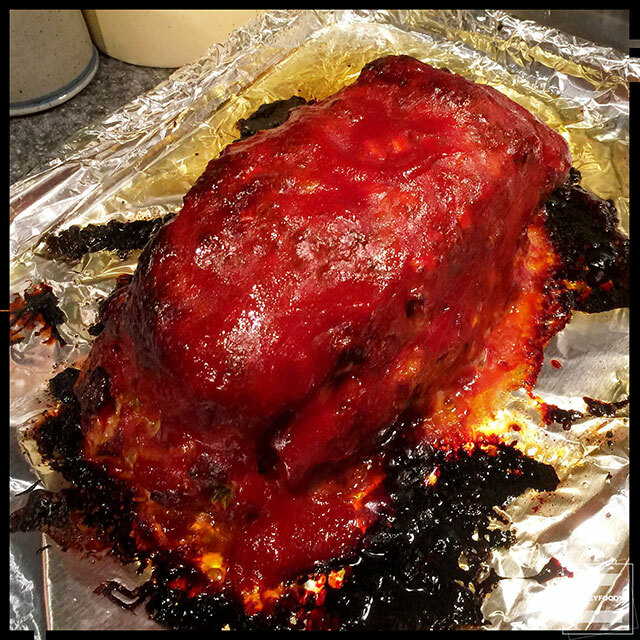 Return to the oven for 30 minutes, then brush the remaining glaze over the meatloaf and return to the oven for 40 minutes more, until the meatloaf is cooked through and the glaze a bit charred in spots. Remove from the oven, loosely cover, and let rest for ten minutes before slicing and serving. Good texture, it holds together pretty well when sliced, and very tasty! I went kinda old-school and had mine with Kraft Dinner (with a couple of tabelspoons of Sriracha added) and a salad on the side, and, leftover the next day? This baby slices beautifully, and makes for a very nice sammich with a bit of mayonnaise, some lettuce, tomato, a slice of cheese, and mebbe just a bit of chop pickle on top. 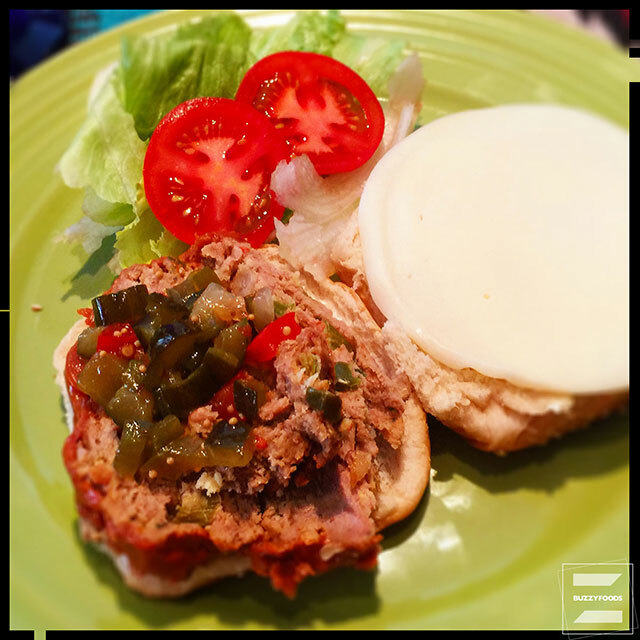 This entry was posted in Beef, Pork and tagged Bread Crumbs, buttermilk, Celery, Egg, Green Pepper, Ground beef, Ground Pork, ketchup, Meatloaf, Mixer Meatloaf, onion. Bookmark the permalink.